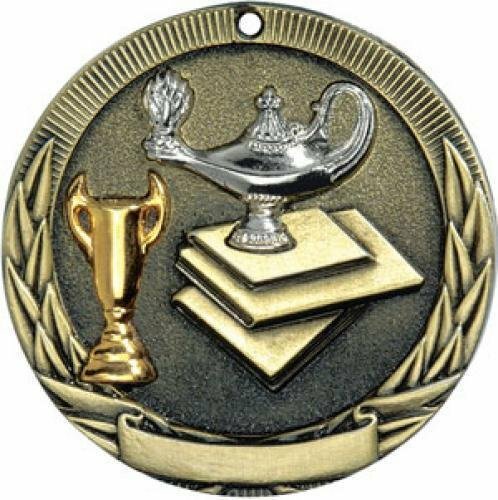 These Knowledge Super Star medals have a decorative star that frames the center of the medal. 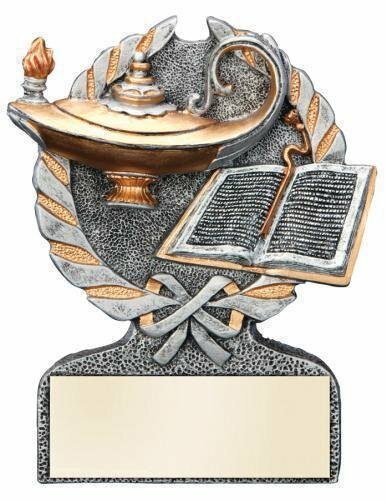 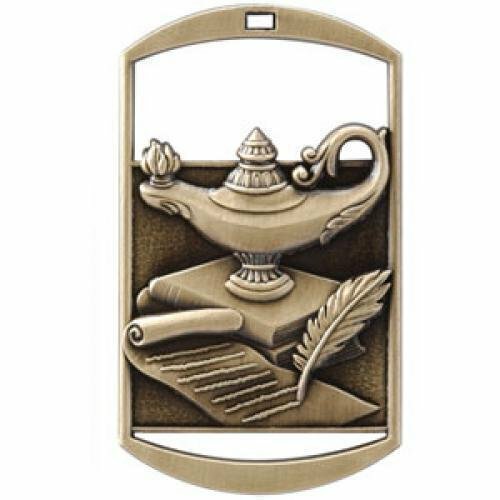 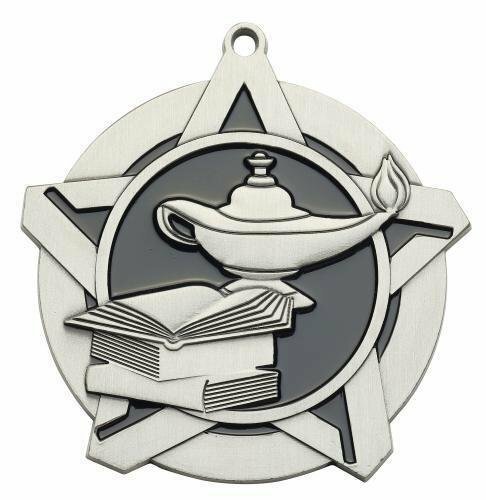 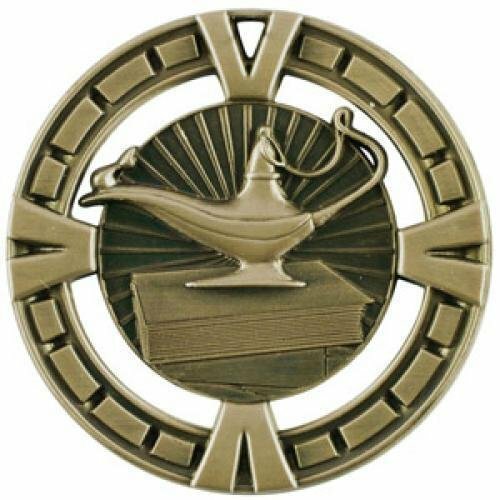 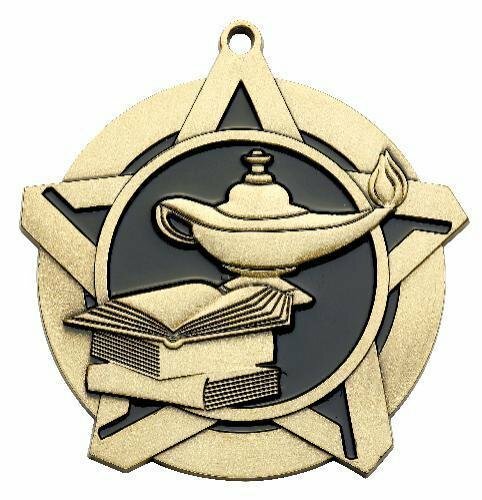 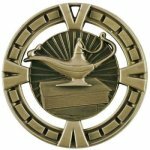 A classic lamp of knowledge and open books icons fills the front of this 2 1/4" in diameter medal. 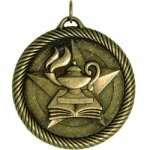 In addition to many other sports or activities these medal come in your choice of gold, silver or bronze finish. 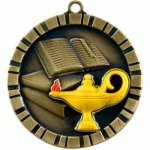 The back of the medal has more than enough room for all of your personalization needs. 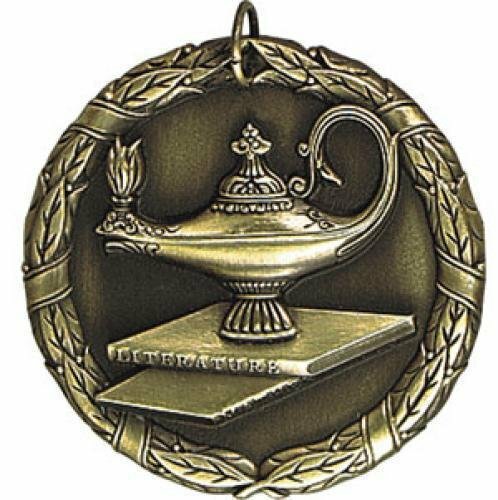 All you need to do is pick a ribbon and you are all set to go!